Our Sunday morning service is at 10.30 am. Around 100 people normally attend morning service. The first part of the service is an all-age family worship after which children leave for their own Sunday Club held within the building. The worship is usually traditional and the "Easy Worship" software package is used, with projected hymns, images, film clips and downloaded Gospel music at some services. 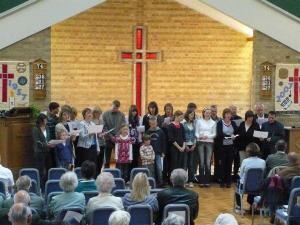 Evening worship is at 5.00 pm on the fourth Sunday of each month. The service will incorporate the ideals of ‘Stay and Pray’ and will be a fairly informal time of reflective worship and prayer. 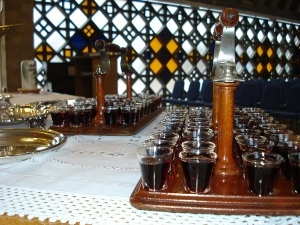 The first Sunday of each month is a Communion service. Our Communion table is open and we invite all who love the Lord Jesus Christ to share in this celebration with us. Additional services are held during the main Christian festivals. 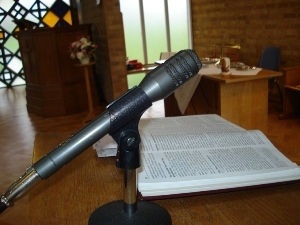 Sunday 28 April 2019 10.30 am All-Age Family Worship - Rev David Rees and the Girls' Brigade. Church AGM will follow Morning Worship.